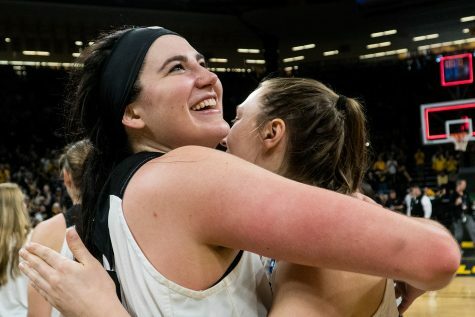 Iowa dug itself out of a seemingly-insurmountable hole on Sunday, but it wasn’t enough to topple Tennessee in the NCAA Tournament. 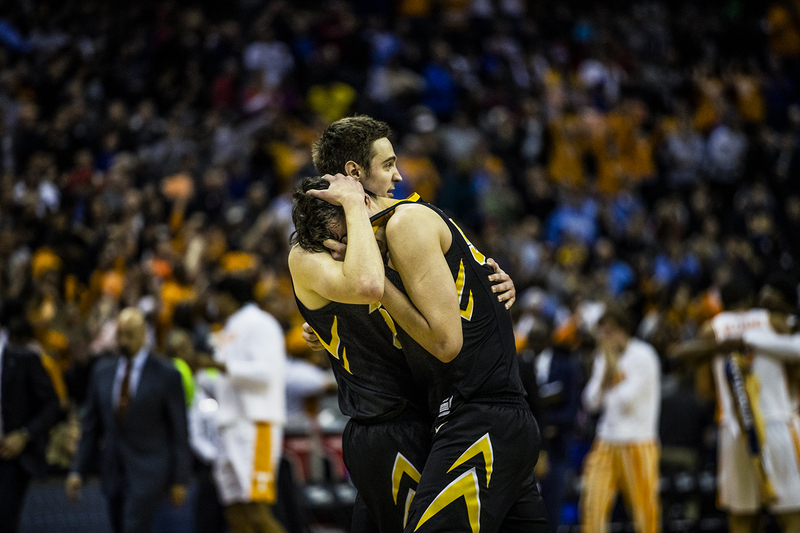 Iowa forward Nicholas Baer comforts Luka Garza after the loss against Tennessee in the NCAA tournament at Nationwide Arena on Sunday, March 24, 2019. The Volunteers defeated the Hawkeyes 83-77. 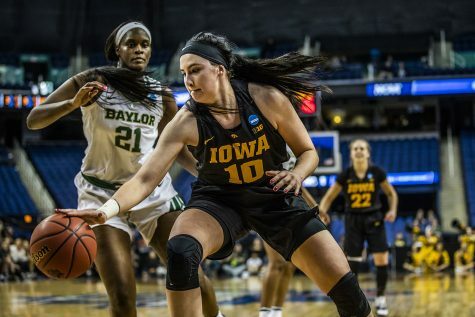 COLUMBUS, Ohio – Down by 25 at one point, Iowa basketball clawed its way back in one of the greatest second-half performances in program history. 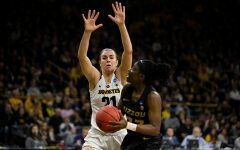 The Hawkeyes outscored the Volunteers, 43-22, in the second – a complete turnaround from a forgettable first-half performance. Then, overtime happened. 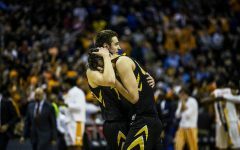 Tennessee cruised in the extra time, taking down Iowa, 83-77, in one of the wildest games of this season’s NCAA Tournament. At halftime, Iowa’s chances of a comeback looked dead in the water. 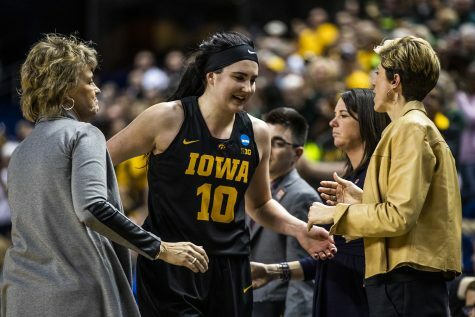 The Hawkeyes scored 28 first-half points, shot 32.1 percent from the floor, and turned the ball over eight times. 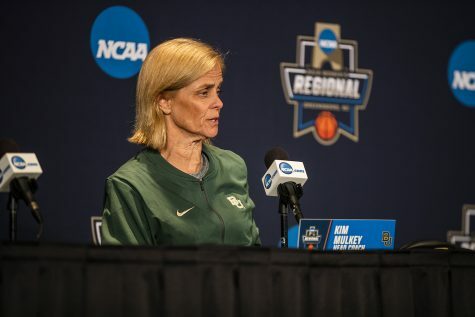 During the break, the locker-room conversation wasn’t full of anger from head coach Fran McCaffery, and there wasn’t a sense of panic in the air. 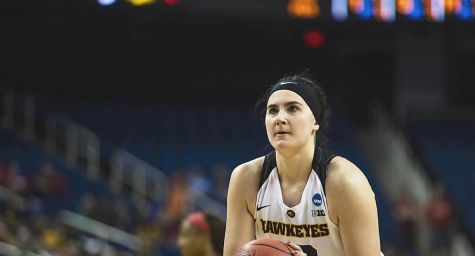 A rejuvenated Hawkeye squad came out of the break and outscored the Volunteers, 9-2, in the first few minutes – all nine points courtesy of Cook. 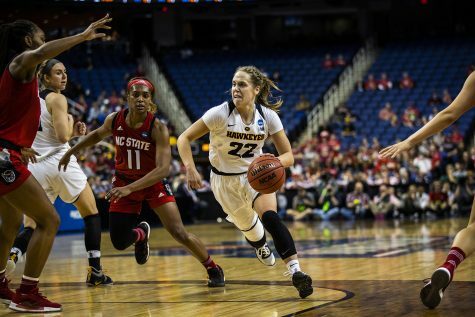 The junior forward scored 11 of Iowa’s 43 second-half points in physical fashion. Cook, as well as his teammates, attacked the paint and put Tennessee’s players in foul trouble. Three of the five Volunteer starters committed two fouls in the second half. 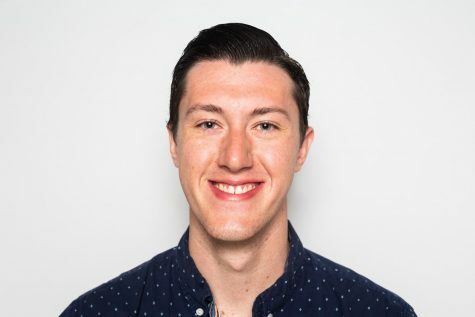 With its star players Grant Williams and Admiral Schofield in foul trouble, Tennessee struggled on both sides of the ball. 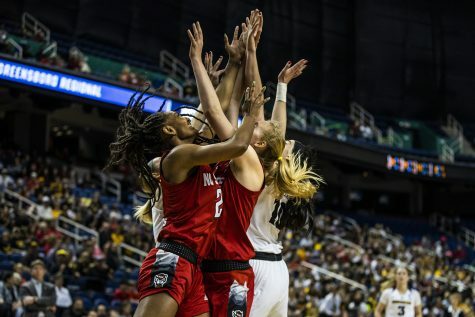 Offensively, the Volunteers shot just 33.3 percent in the second and committed 10 turnovers – essentially, a repeat effort of Iowa’s first-half play. 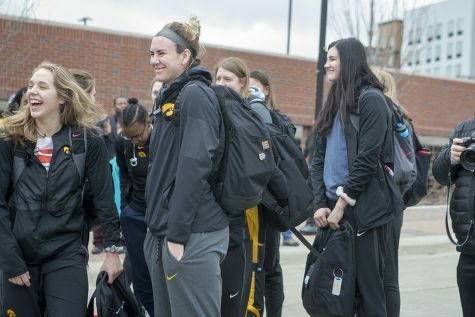 But despite erasing a 25-point deficit, the Hawkeyes never secured any sort of lead. 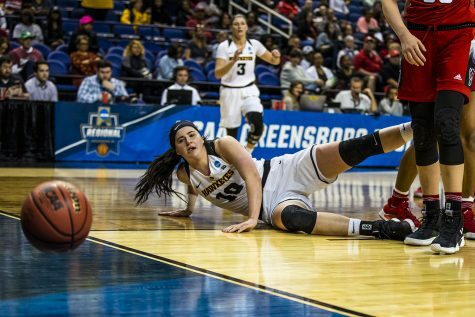 Tied at 71 apiece, Iowa and Tennessee headed to overtime, but that’s when things fell apart. Williams had 6 points in overtime, Jordan Bone scored 5, and Kyle Alexander scored 1 from the free-throw line to round out a 12-6 overtime scoring advantage for the Volunteers. Tennessee scored 7 unanswered to begin the period. Iowa took just four field goals in overtime, finishing with as many turnovers as makes (two). 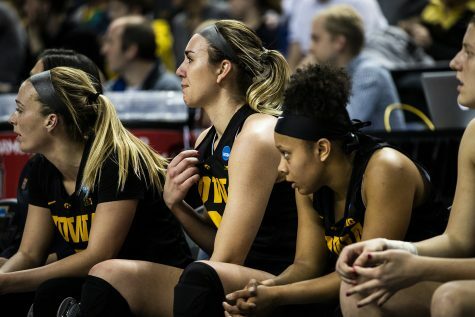 The final score was in no way what the Hawkeyes wanted, as echoed by their somber expressions in post-game media availability. 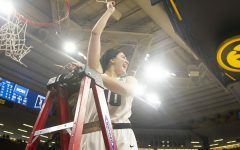 However, erasing a 25-point deficit and nearly toppling one of the nation’s giants in the process is nothing to scoff at – a testament to Iowa’s unrelenting fight.